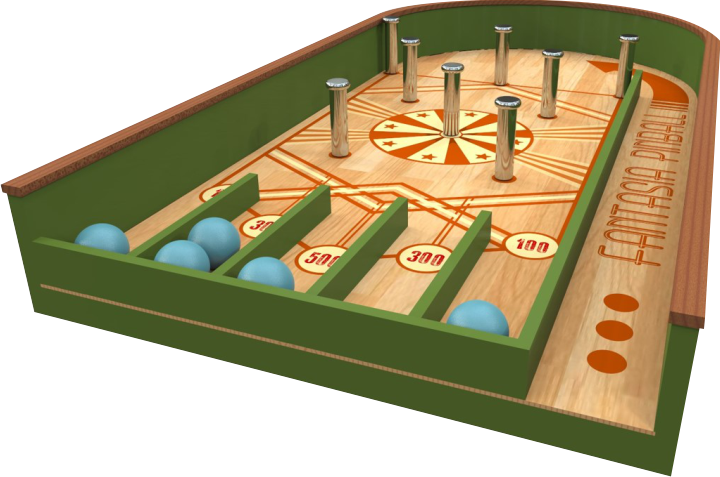 Fortuna is a vintage pinball / bowling action game in a life-sized package. A fun and easy game for all ages. Fortuna is fully manual so no electricity or pneumatics are required. Its wooden structure and nostalgic appearance evoke that old time retro feeling we all like. What we have here is one true Fantasia Works’ classic, The Fortuna Game! 5 pcs 2kg gym balls. Get the ball rolling to get more points then your opponent during his or her turn. Game is played with 2kg gym balls.